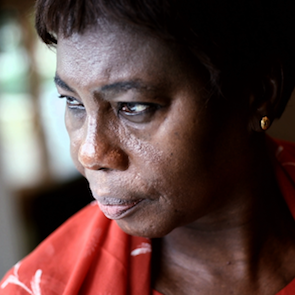 Human rights defenders (HRDs) in The Gambia operate in a widespread climate of fear, suspicion and self-censorship. Freedom of expression is gravely limited and human rights defenders and journalists critical of the government are under threat. NGOs operate in a restrictive environment, are subjected to strict monitoring by the authorities and pushed to act on issues in accordance with the government's agenda. Of further concern is the issue of the independence of the judiciary (or lack thereof): the State has taken action to have full control over it, as illustrated by several cases of fabricated charges and trials against HRDs. Independent journalists are particularly at risk. A number of journalists have been threatened, arrested, charged or were forced to flee. The legislative framework is very restrictive: the 2004 Newspaper Registration Act, the 2005 Criminal Code Amendment Act, the 2009 Official Secrets Amendment Act and the Communications Bill contradict constitutional provisions on freedom of expression and have made it very challenging for journalists to work without breaking the law. NGOs in Gambia are lmited in the range of activities they can undertake, are closely monitored by the government and pressured to work on non-sensitive issues. In 2010, the NGOs Affairs Agency was moved from the Ministry of Interior to the office of the President, thus increasing the monitoring of civil society. NGO registration is burdensome and includes the mandatory acceptance to conform to government development plans. Harassment of NGOs monitoring human rights violations or working on politically sensitive issues was reported. As a result, many NGOs exercise self-censorship and opt to work on less sensitive matters.